The foundation of this firm dates from the purchase in 1857 by James Hume, of the business of J. R. Huntington, one of Amesbury’s oldest builders. Under the senior Hume's management the firm became known all over the country for the style and variety of its work. Hume’s eldest son, John, eventually took over the firm and when he retired in 1884, his brother, William H. Hume, assumed control, taking in John H. Shiels and George T. Walker Sr., as partners a year later. An 1888 a fire destroyed nineteen carriage plants in Amesbury, including three buildings used by Hume. In 1898, George T. Walker Sr. left Hume to organize his own firm, the Walker Carriage Co. Walker conducted business in Amesbury until 1903 when he moved to the neighboring town of Merrimac (formerly West Amesbury). However, Hume did not fade into obscurity. For a number of years they maintained a carriage showroom in Boston’s Hotel Bristol at 66-68 Stanhope St. In 1909 they moved their factory from Amesbury to Boston as well, where a large building was leased at 910 Commonwealth Ave., 1 mile west of Fenway Park. That portion of Commonwealth Ave served as Boston’s first automobile row and between 1909 and 1925, Hume built hundreds of custom bodies for Boston’s luxury car distributors, and from 1920-1925, hundreds of production bodies for Marmon. Throughout the twenties there was an increasingly close relation­ship between Hume and the Marmon. W. E. Pierce, president and chief designer of the Boston firm is credited with some of the design work on the Marmon 34B, many of which graced the Marmon stand at the nation’s automobile shows. The Marmon New York Co. and E.E. Wing Co., the Boston Marmon distributor, offered Hume custom bodies starting in the late teens. 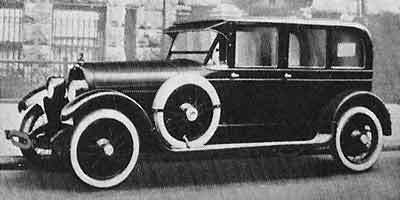 Hume was listed as a Marmon custom coachbuilder (along with C.P. Kimball, Larkin, Brewster, Brunn, New Haven Carriage Co., Rubay and Graff) in a 27 page catalog called “Specially Constructed Bodies… for the Marmon Chassis by America’s Master Coach Builders” put out in 1920 by the Marmon Chicago Co.
Marmon supplied the pace car driven by Barney Oldfield in the 1920 Indianapolis 500, and most Marmon historians believe the aluminum body was designed by W.E. Pierce, and built by Hume. From 1920-1924, Hume built production bodies for the Marmon series 34, one of which was a pace car replica called the Pace Car Speedster. Painted in Marmon Racing Yellow with black fenders it was first offered to the public in 1921. 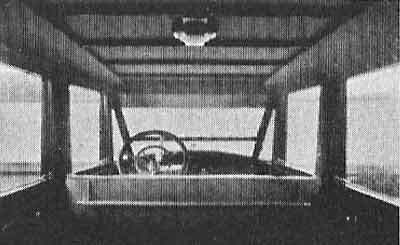 It featured seating for two only, with golf club doors permitting access to the storage area located in its “bee tail” rear end. On certain models, a drawer slid out from the golf club door creating a backrest so an occasional passenger could site or ride! on the running board. The December 1920 issue of the “Marmon Post” announced the introduction of two new W.E. Pierce designed body styles: a 4-passenger sedan and a 7-passenger Suburban, both with rear-hinged doors. The bodies would be supplied through E.E. Wing and the Marmon New York Co, and were available through any Marmon dealer. Most of them were built at Hume’s Boston body plant, but due to the anticipation of brisk sales, the Springfield Metal Body Co. of Springfield, Massachusetts, would produce additional examples as needed. In 1923 Hume introduced a whole line of coachbuilt bodies designed exclusively for the Marmon 34 chassis. Two were included at the Marmon display at the New York Auto Show, one a 2-passenger speedster mounted to a Model 34C chassis, which was built using a Model 34B frame equipped with a lower cowl, hood and radiator. "Special Sedan with real dignity and distinction of appearance, striking in its lowness and in the long sweep of its lines. The rear seat, 46 inches wide, is fitted with a removable arm rest. With this in place the capacity is four, but the increase to five can be made with utmost ease by removing the rest." The interior featured exposed top bows and framing stained to match the walnut paneling be­neath the windows. The front windshield was slightly angled and covered by a sun visor built into the roof which was built using a distinctive rounded rear roof line and came to be known as a round-back sedan in the trade. Hume made an unexpected appearance at the 1923 Auto Salons, where they displayed four custom bodies on Marmon 34B and 34C chassis. A Victoria coupe was shown at the 1924 New York Auto Show with Hume’s round-back roof that also graced their Model 34B town car. Two Hume-built 1923 Marmon 34s are known to exist, one a four door sedan, the other a 2-passenger coupe. Hume is sometimes mentioned as a participant in Lincoln’s custom body program during the 1925 model year, but I’ve been unable to confirm it. However one thing is certain, sometime during 1924, Hume’s president, W.E. Pierce decided to move to Indianapolis to become Marmon’s chief body engineer and designer. 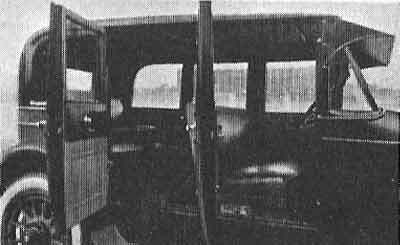 The announcement was made in March of 1925 although Pierce had prepared the bodies for Marmon’s upcoming Model 74 much earlier, as the eleven body styles he designed were introduced in November of 1924. However, the bodies for Marmon’s Model 74 would not come from Hume. Marmon-Nordyke had just completed a state-of-the-art body plant in Indianapolis, so Hume’s Boston, Massachusetts body plant was liquidated. However, as Hume had employed a large number of skilled craftsmen who were now out of a job, he made an arrangement with another Boston firm to continue the Hume operation on a much smaller scale. In 1926, Eugene D. Hubert’s (1896-1971) Hub Auto Top Co. was reorganized as the Hub Body Corp. and moved into a factory at 70-74 Commington Ave. which was to be shared with the reorganized Hume Body Corp. Hub was previously located in a small shop across the street from Fenway Park at 101 W. Brookline Ave. Their new quarters were halfway between both firm’s former locations and only one block away from Boston College. While they shared a building, both firms were specialists, Hume specialized in refinishing and building bespoke bodies, while Hub specialized in automobile tops and interiors. The arrangement proved beneficial not only to both firm, but to their customers as well. The 1937 directory lists both firms, still sharing the Commington Ave address, but a year later, Hume Body Corp. had moved to 846 Comith Ave. while Hub Body Corp had disappeared. Mrs. Eva Duberger was listed as Hume’s president, and the firm remained in business for a couple more years.